For as long as I can remember I have always loved music and was even lucky enough to be able to participate in my elementary/high school band programs where I learned not only how to play an instrument but to enjoy and appreciate many aspects of music. The piano is an instrument that I have always admired and wanted to learn to play but it wasn't until I was an older adult (age 54) that I made the decision and commitment to begin the journey. 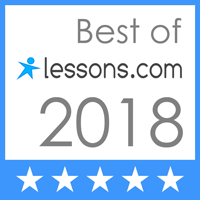 For the past 18 months, my beginner lessons with Linda have included the basic fundamentals of music; general music theory as well as focusing on the proper techniques for playing the music task at hand. Her studio offers a casual atmosphere yet provides each student the opportunity to learn and work with quality professional equipment. Each lesson always includes a never-ending supply of encouragement; dedication and patience - the key components in helping students achieve their goals while gently easing the challenges of the piano. Linda’s credentials are second to none and I feel very blessed to be able to say that Linda Pritchett is my piano teacher. I have studied with Linda for 3 years . . . a decision I am so glad I made. Having studied piano for several years as a child/adolescent, I was so glad to find someone who would teach adults. Linda understands the responsibilities of an adult student, and is so gracious when schedules have to be changed. While this makes studying piano again much easier, the greater benefit is the individual instruction and attention I receive during my lessons. Linda’s knowledge of music and piano is remarkable as evidenced by her formal training and education . . . but it goes further than education – Linda has the passion for teaching piano . . . that is an absolute must. Studying the piano again is very self-fulfilling and something I have wanted to achieve for many years . . . Linda is making that possible. 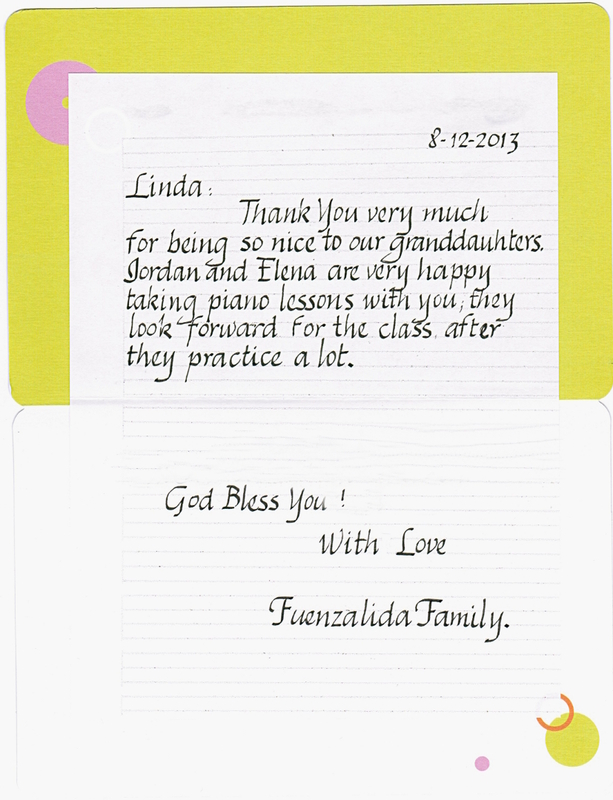 Linda is wonderful piano teacher. She has great technique teaching my daughter how to play piano. I strongly recommend Linda to anyone that eager want to learn piano. My son Collin has been taking lessons for about four years now and Linda has been a great instructor. 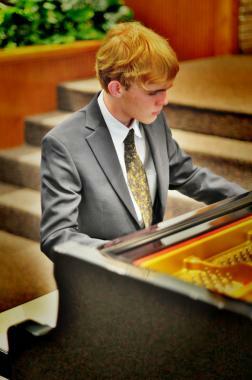 Collin it's an exceptional student and he owes much out his piano skills to Linda's teaching style. 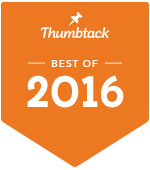 If your child is willing to put in the time, Linda Pritchett will find the best in them. Mrs. Pritchett is a fantastic piano teacher and mentor. Due to her desire for all her students to be the best they can be, she pushes them to work hard and improve their skills. While Mrs. Pritchett teaches technical skill in order to lay a solid foundation, she is also concerned with bringing the inner musicality out of her students allowing them to relate and express their personal interpretation in performances. She is familiar with, and capable of, teaching all genres. Although she chooses certain pieces for skill development, she also caters to her students individual interests showing eagerness and excitement to help them work through any piece they desire to learn. Mrs. Pritchett is a fun teacher, but expects her students to work hard and do their best - like any teacher worth their salt would - because she wants them to be the best they can be. At the age of 14, our son Clay approached us with a proposition. “If you will get me piano lessons, I promise I will not disappoint you.” Knowing our son to be a person of his word, we began our search for a master piano teacher. Immediately upon speaking to Mrs. Linda Pritchett, I knew she had the same characteristics of the other master teachers I have known. There were areas that I believed my son could not learn or overcome. His presentation was awkward and seemed to be only technical. Yet, over a period of time under her teaching our son developed exceptional presentation and now experiences the joy of playing. She more than lived up to my first assessment of her as a master teacher. Mrs. Pritchett took our son beyond our expectations and has encouraged us as parents to support him to the fullest of our abilities. I have known and appreciated Linda Pritchett for well over twenty years. She is our church pianist, and week by week, her playing continues to amaze and bless us! Additionally, as the grandmother of two of Linda's students, I have seen how she has a true talent for drawing the very best out of her students. She teaches with kind compassion, but also with gentle discipline. Her approach combines the perfect mix of instruction and structure. Linda stresses the necessity of much practice, but not just practice, proper practice! And when the student sees the results and value of that practice, it encourages them to do their best! If you or your child are fortunate enough to be a student of Linda's, you won't be disappointed, provided that you do your part. You will see her passion for the piano and her love for all kinds of music, from pop to Beethoven! Linda is not only a wonderfully gifted piano player and teacher, she is also genuinely invested in the welfare of her students. She has worked with my daughter for years and helped her develop into a very talented piano player. Also, through piano, Linda has helped my daughter with her confidence and persistence. We love her! 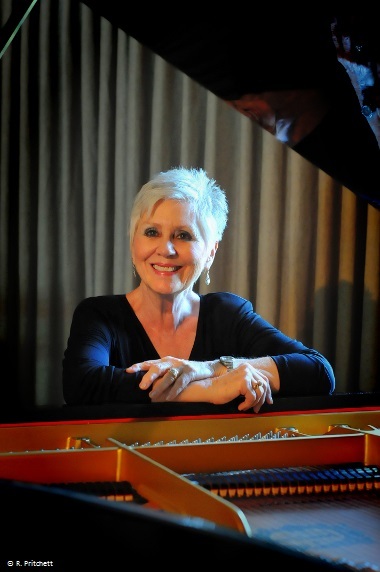 At the age of fifty, I started taking piano lessons with Linda less than two years ago. I never played the piano before nor read music. Under Linda’s supportive tutelage and excellent teaching I have now progressed to level 2, can read actual music, and have fulfilled my lifelong goal to be able to play a few Irish tunes on the piano.